This is the perfect addition to any wardrobe as this tailored dress looks great for that work to weekend look. This is a slightly tailored dress shaping you around your bust and waist. 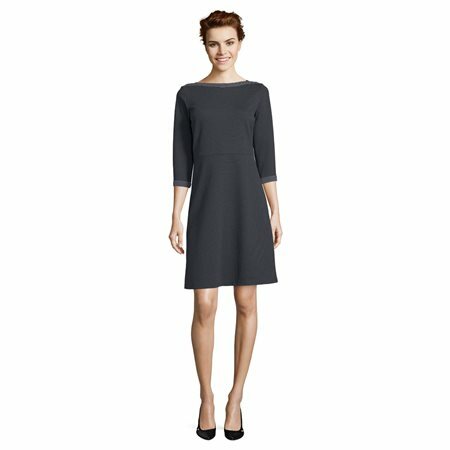 This is a knee length dress with 3/4 length sleeves and a wide round neckline. Pair this dress with both heels or flats.